Gaming has taken over the world, and while online gaming platforms have skyrocketed the sports gambling community is also growing at a rapid rate, which has generated some challenges for bookies both onshore and offshore. 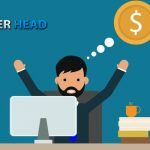 These challenges are mainly technological and stem from trying to keep up with consumer needs for more in-depth applications that offer added value. The days where you could offer a sub-par mobile betting application to your customers are over. The best sportsbook software is the one that offers the most value across different channels, gamblers are now engaging their betting providers through more channels and networks than ever before, the application must now support every operating system and resolution to be able to provide the quality service players are demanding. 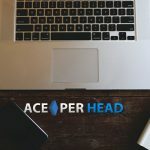 This realization has been taken very seriously by the management of www.AcePerHead.com, and they have strived to be at the forefront of tech innovation for pay per head services. Their multi-channel betting software offers a lightning fast interface that is both easy to use and intuitive providing a much better customer experience. The simple clean design of the player interface is just one of the things that makes Ace Per Head the best sportsbook software provider for independent bookies. The attention to detail and the robust high-volume capacity of the platform is sure to boost your profits year-round. 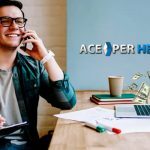 The mobile platform and the live dealer casino as just a few of the options that will open new markets and revenue sources for your bookie business. 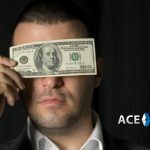 The newest addition, however, is the one that will revolutionize your book, and that is the live betting platform, the service includes a standard offering however for those who understand the impact live betting can have on their bottom line will profit the most with the VIP live betting package, which offers more options on every game, creating a unique engaging opportunity for your players. Another great feature of the software platform is their risk management tools, the bet tracker shows bets as they are being placed giving the line managers a final chance to make changes to the line before the wager is accepted, it also provides invaluable insight into possible player collusion as all bets are shown in chronological order, making it easy to spot patterns. However, it is the all-in-one betting platform that offers the best features, combining all wagering products under one player account, agents can easily view and analyze each player’s activity, there is no need for a separate account for the casino games or the racebook, everything is done under one account and one balance. The agent backend provides an overview of the entire business, if you work with sub-agents you will have access to all the relevant information of their players, the financial reports are top of the line, cutting your admin work to a fraction of what it would normally be. 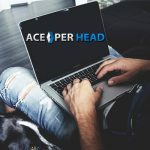 Data security is embedded in the software, and in addition to this AcePerHead.com has one of the most sophisticated network security platforms available, preventing attacks and downtime, making it a no-brainer to do business with them.